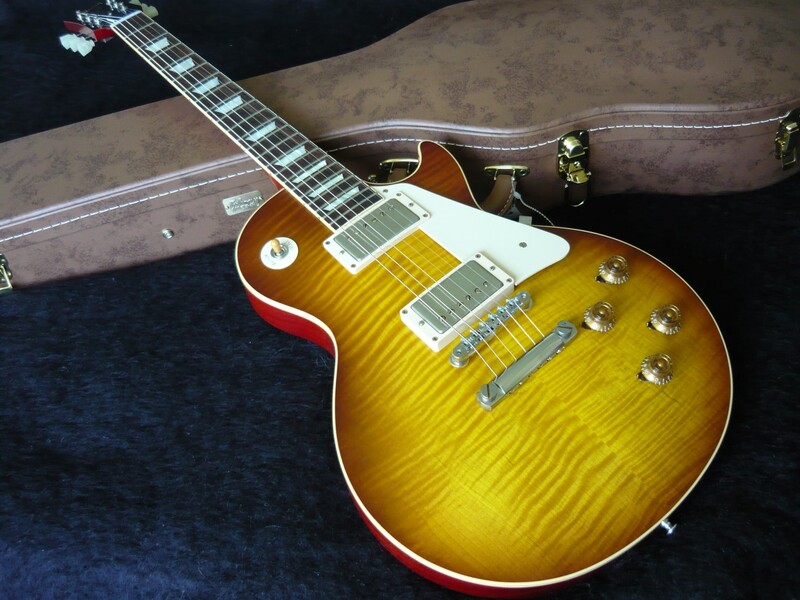 While all 1958-'60 Les Pauls are among the most sought after electric guitars ever made, the '59 Burst is often considered among aficonados to be the crème de la crème of the range. This instrument has gigantic tone supplied by Custom Humbuckers. These new Custom Buckers are sweeter than the 57 Humbuckers and clean up beautifully. Action is fast and low. All Les PAUL LOVERS you need to own one of these at some stage in your life. Talk about vintage vibe. Experience the richness and depth of creamy rhythm and hot molten lead sounds. This is an amazing Gibson Les Paul that sounds like a dream. It is truly a dream guitar.